A Massawa vacation during summer time is a must in Eritrea and now the sea is being graced by individuals flocking from all over the globe. 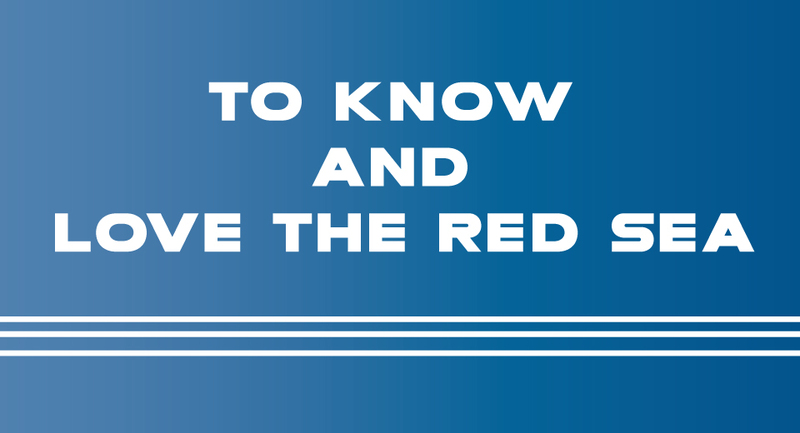 This got me asking: what do we know about the Red Sea? Well let’s delve right in and find out. The Greeks called it the Red Sea after seeing the brownish color of its shores, probably due to a special variety of algae. Before them, Moses had already crossed it by waving his miracle-performing staff over the sea, which parted the Red Sea and allowed the Israelites to walk on the exposed dry ground, leaving poor old Pharaoh and his army behind to drown in its depth. That was way up north and the world was, at the time, the Middle East. A thousand years later, the Egyptians tried to sail to the south in search of myrrh and probably our baboons, who had it nice in the temples of the pharaohs. As far as their Cushitic tastes and mystic disposition were concerned, myrrh and incense smelled like French perfumes and monkeys were as sacred as gods and, perhaps, as French poodles. In the 6th century BC, Darius the Great of Persia sent reconnaissance missions to the Red Sea, improving and extending navigation by locating many hazardous rocks and currents. A canal was built between the Nile and the northern end of the Red Sea at Suez. In the late 4th century BC, Alexander the Great sent Greek naval expeditions down the Red Sea to the Indian Ocean. Greek navigators continued to explore and compile data on the Red Sea. Agatharchides collected information about the sea in the 2nd century BC. The Periplus of the Erythraean Sea (“Periplus of the Red Sea”), a Greek periplus written by an unknown author around the 1st century AD, contains a detailed description of the Red Sea’s ports and sea routes. The Periplus also describes how Hippalus first discovered the direct route from the Red Sea to India. However, once the route to the land of Punt (southern Eritrea) was discovered and the spoils identified, the journey was never too far for enterprising merchants and foolhardy adventurers to undertake. These former-day forty-niners even established colonies along the torrid coastal lands of Eritrea. Gradually, driven by curiosity, they began to climb up the steep mountains. Among the visitors from across the sea, there were some good people who arrived along with the wicked. These were saints who, of course, brought their brand of Christianity or Islam to the region. It was their religions that eventually radically changed the culture of Eritrea – from African to Oriental. Nearly everyone, once on his or her way back home, including the saints, took along gold, ivory, and, not to forget, slaves. In those days, slavery was color-blind. A black man could own a blond as a slave if he had the cash. But still others came to fight and grab lands. These were the “bad” ones. They came in succession; many of the Persians, Arabs, Turks, Italians, British, and Ethiopians came to serve their own delusional interest, yet never truly representing their good people. To know and love the sea, you have to live near it. The farther you are from it, the less the interest. Gradually, you fall in love with the mountains that surround you and come to hate the sea, and finally you let strangers use it with dire consequences. Eritreans couldn’t use the Red Sea freely for obvious reasons. It had always been occupied by strangers. The Turks and the Arabs used it for trade (which sometimes included slaves), while the Italians used it to transport Askaris (Eritrean colonial soldiers serving Italy) to Libya. The English, while in Eritrea, were only interested in their Suez, while the Derg momentarily destroyed its fauna and flora in collaboration with the Soviets. Of course, Eritreans had for centuries traveled by sea to the Middle East and Europe. They used the Red Sea to visit Holy sites and important places (Mecca, Jerusalem, and Rome), and to undertake diplomatic and commercial missions. Until 1991, however, it was never fully ours. It belonged to anyone that happened to pass by with an armed sailing boat and a funny idea. In 1912 not only was the Red Sea not ours but, as mentioned above, the Italians used it to take Eritrean youth to fight their colonial wars abroad. Eritreans who were supposed to be owners of their seas were in fact put on a foreign boat and hauled to Libya to fight a war, the cause of which they knew no better than the next fellow. Some of them had never seen a large mass of water before. Most stood perplexed before the mighty sea. When the trains full of Askaris reached Massawa (from Asmara), it was almost dark. The Askaris who poured out from the snorting black train were now a disorderly crowd of sweat covered, puzzled, and exhausted strangers on their own land. The sight of the blue seas stretching to infinity added to their awe and wonderment. Most could not believe their eyes. The body of water in front of them was blue, transparent, and calm. They felt like plunging themselves into that glassy surface, forgetful of the fact that they could not swim. We have almost no lakes in Eritrea and few rivers. So setting aside the coastal people who are experts at swimming, by and large the vast majority of Eritreans are not great at swimming. The Askaris saw a freighter in the distance. Motionless. Waiting patiently. It looked as if it could wait for eternity. And then all of a sudden, it began to spew black smoke and started to rumble like thunder. The Italian officers went on board first and disappeared inside the dark mazes of the ship. The Askaris lined up, climbed the stairs to the deck, and stayed there until further notice. In 1990, the grandchildren of those brave Askaris fought the last of the invaders in the battle of Massawa to reclaim their sea, once and for all. The sea was, at last, free, secure, and ours.